Andy McElaney is senior of counsel in Nutter's Litigation Department. He concentrates his practice on trials and appeals of civil cases. Andy has tried jury cases in federal and state courts in California, Florida, Illinois, Kentucky, Maryland, Massachusetts Michigan, Minnesota, New Jersey, and Pennsylvania. He has appeared pro hac vice and argued pretrial and dispositive motions in Alabama, Arkansas, New Hampshire, New York, Ohio, Oregon, and Rhode Island. He has argued appeals before the First, Fourth and Seventh Circuit Courts of Appeal and the appellate courts of California, Louisiana, Maryland and Massachusetts. In recent years, Andy’s practice has focused on products liability litigation. He has represented manufacturers of asbestos products, cigarettes, pharmaceuticals, medical devices, motor vehicles, elevators, escalators, production machinery, and diesel engines for various applications. He has also handled cases involving constitutional and civil rights claims, administrative law, partnership and other contract disputes, legal malpractice, employment, copyright, trademark and patents, real estate, unfair trade practices, insurance coverage, construction and environmental law. Andy represented the lead defendant in the first case brought by the Commonwealth under G. L. c. 21E. Prior to joining Nutter, Andy spent almost five years as an Assistant Attorney General for the Commonwealth. He served in the Government Bureau and was primarily involved in trials and appeals of constitutional and administrative law cases. He also taught legal research and writing at Boston University Law School. Andy is Treasurer of the Social Law Library as well as a Trustee. Andy is a Fellow of the prestigious American College of Trial Lawyers. Fellowship in the College is extended by invitation only and only after careful investigation, to those experienced trial lawyers who have mastered the art of advocacy and whose professional careers have been marked by the highest standards of ethical conduct, professionalism, civility and collegiality. Fewer than one percent of lawyers in any given state are Fellows of the College. He is also a member of the three preeminent international defense organizations, the International Association of Defense Counsel (IADC), the Federation of Defense and Corporate Counsel (FDCC), and the Defense Research Institute (DRI). Members of the IADC and FDCC are peer selected and membership is by invitation only. 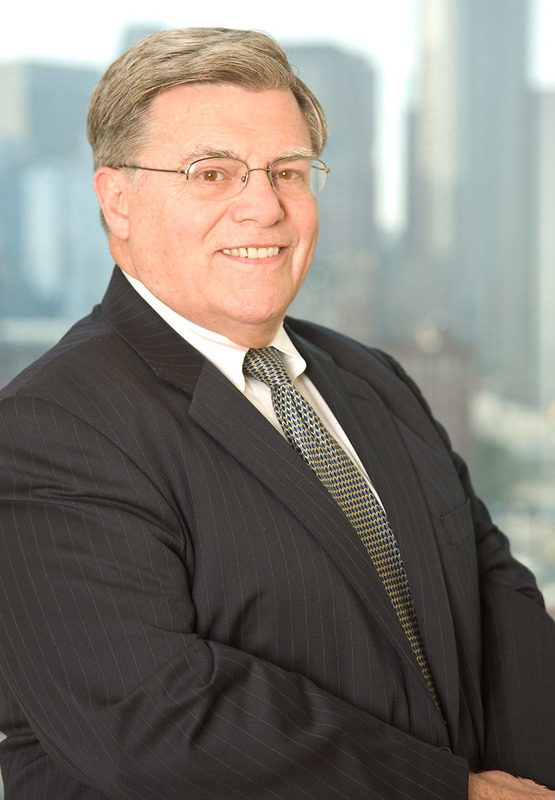 He has been a long-standing member of the Boston Bar Association, and has served as chair of various committees. He has participated in continuing legal education programs on trial practice, evidence, civil litigation practice and procedure, and appellate advocacy. For many years, he chaired the MCLE program, Civil Litigation Preparation. He also chaired for several years the MCLE program, Winning on Appeal. For over twenty years, Andy was the Firm’s Pro Bono Coordinator and led the Firm into becoming a charter member of the Law Firm Pro Bono Challenge. Andy served as a member of the board of directors of the Greater Boston Legal Services for twenty years. Andy has been an active participant in the affairs of the Town of Hingham. He has served as the chair of the Hingham Electronic Voting Study Committee, the Hingham Personnel Board, and the Hingham Retirement Systems Study Committee. He was a member of the Hingham Historic Districts Commission, and has been Assistant Town Moderator at numerous Town Meetings. Andy served as chair of the board of St. Paul School in Hingham, MA, for over twenty years. He has been an active parishioner of St. Paul Parish for thirty years. His proudest achievement is his chairmanship of the St. Paul Response Task Force. Andy led a group of professionals from a number of disciplines who gathered shortly after the explosive news about child endangerment in the Catholic Church. The group published the first in the Archdiocese set of very specific standards of behavior for all persons, religious or lay, who would interact with children or disabled adults in St. Paul Parish. The group also established a Personnel Board and a Safety Committee. With five active children, Andy was very involved as a coach and supporter of youth athletic programs in Hingham and for several years was President of Hingham Youth Hockey, Inc.
Andy is and has been for many years a member of the President’s Council of his alma mater, the College of the Holy Cross. He is a co-chair of his graduating class, which, he proudly reports, has consistently been among the highest in class participation in the College’s Annual Fund. He is equally proud of being a graduate of Boston College Law School. While a student, he was the managing editor of the Boston College Law Review. At graduation, he received the Lyne Woodworth & Evarts Award in recognition of his dedicated service to the Law School and the Law Review, in particular. Andy remains involved in fundraising and is an Ambassador for the Law School at Nutter. Representing a component part manufacturer in a lengthy products liability jury trial that resulted in a defense verdict. Representing the defendant-manufacturer in plaintiff’s unsuccessful appeal of a defense verdict to the Kentucky Court of Appeals. Representing a manufacturer of a consumer product in an appeal to the Supreme Judicial Court of a wrongful death case. Representing the manufacturer in immediate interlocutory appeals to a Single Justice of the Appeals Court that resulted in the vacation of a post-trial preliminary injunction and the recusal of a judge hearing a pre-trial motion to dismiss. Representing the manufacturer of a consumer product challenging in federal court on constitutional and other grounds a municipal ordinance banning the sale of the product. Preparation for trials of products liability cases in Louisville, Philadelphia, Tampa, Los Angeles and San Francisco. Negotiations with, and commencement of action in Baton Rouge, LA against, a national bank threatening to breach a contract with a company providing fuel card services, including credit sales of motor fuels and other products and services, fuel usage and tracking reports. Oversight of team defending client in securities litigation. Representing international software company sued in federal district court in Boston on various theories, essentially alleging fraud and misrepresentation, on account of activities of a subsidiary in Japan, the locus of the alleged fraud. Evans v. Lorillard Tobacco Co., Supreme Judicial Court of Massachusetts, 465 Mass. 411 (2012). RYO Cigar Association, Inc. v. Boston Public Health Commission, 79 Mass. App. 822 (2011). Hollingsworth & Vose Co., v. Connor, 136 Md. App. 91, 764 A 2d 318 (2000). Santos v. Chrysler Corp., 430 Mass. 198, 715 N.E. 2d 47 (1999). Ruckstuhl v. Owens Corning Fiberglas Corp., 731 So. 2d 881 (1999). Newman v. Lorillard, Inc., Dkt. No. A075584, California Court of Appeal, First District (1999). Ruckstuhl v. Owens Corning Fiberglas Corp., 709 So. 2d 238 (La App. 1998). Horowitz v. Lorillard, Inc., Dkt. No. A072695, California Court of Appeal, First District (1997). Braun v. Lorillard, Inc., 1996 U. S. App. Lexis 14761 (9th Cir. 1996). Lesnick v. Hollingsworth & Vose Co., 35 F 3d 939 (4th Cir. 1994). Ward v. Hickey, 996 F2d 448 (1st Cir. 1993). Tilcon Massachusetts, Inc. v. Commissioner of Revenue, 30 Mass App. 264, 568 N.E. 2d 1152 (1991). Camel Hair and Cashmere Institute of America, Inc. v. Associated Dry Goods Corp., 799 F 2d 6 (1st Cir. 1986). Elias v. Ford Motor Co., 734 F. 2d 463 (1st Cir. 1984). Fleming v. Benzaquin, 390 Mass. 175, 454 N.E. 2d 95 (1983). Elias v. Ford Motor Co., 714 F. 2d 109 (1st Cir. 1983). Eagle-Picher Industries, Inc. v. Liberty Mutual Ins. Co., 682 F. 2d 12 (1st Cir. 1982). Colo v. Treasurer and Receiver General, 378 Mass. 550, 392 N.E. 2d 1195 (1979). Tobin v. Commissioner of Banks, 377 Mass. 909, 386 N.E. 2d 1246 (1979). Board of Selectmen of Barnstable v. Alcoholic Beverages Control Commission, 373 Mass. 708, 369 N. E. 2d 1011 (1977). School Committee of Hatfield v. Board of Education, 372 Mass. 513, 363 N. E. 2d 237 (1977). Hopkington LNG Corp. v. State Tax Commission, 372 Mass. 286, 362 N. E. 2 205 (1977). Perry v. Commissioner of Corporations and Taxation, 5 Mass. App. 780, 360 N. E. 2d 654 (1977). Galluccio v. Commissioner of Labor and Industries, 4 Mass. App. 864, 357 N. E. 2d 783 (1976). Fernandes Super Markets, Inc. v. State Tax Commission, 371 Mass. 318, 357 N. E. 2d 296 (1976). Arlington v. Board of Conciliation and Arbitration, 370 Mass. 769, 352 N. E. 2d 914 (1976).